(TibetanReview.net, Sep08, 2016) – Pro-democracy candidates have won 30 of the 70 seats in Hong Kong’s Legislative Council for which election was held on Sep 4. Hong Kong’s election system is designed to ensure that pro-China special interest groups win the majority of the seats in the parliament. However, the one-third control gives the pro-democracy lawmakers the power to veto bills approved by the council’s pro-Beijing majority. Among the prominent winners in the Legislative Council elections was 23-year-old Nathan Law, co-founded with Joshua Wong of the party Demosisto. He was one of the leaders of the 2014 student-led, pro-democracy “Umbrella Revolution” protests which shut down key parts of Hong Kong for 79 days with demand for full and free elections. Two other prominent winners were Yau Wai-Ching, 25, and Sixtus “Baggio” Leung, 30, of the Youngspiration party. 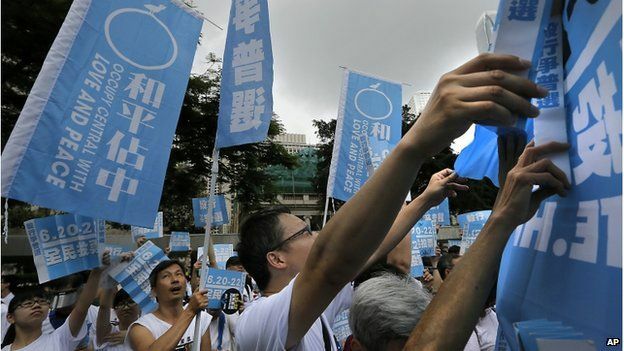 More than two million people, or 58 percent of registered voters, cast their ballots in the Sep 4 elections, the highest turnout in any legislative elections since Britain returned control of Hong Kong to China in 1997. Many polling stations remained open well into Sep 5, hours after the voting officially ended. A recent opinion survey showed that almost 40 percent of young people in Hong Kong favor independence for the city in 2047, when existing arrangements with China expire.